PALADIN WINE TOUR @ EXPO 2015 We will be happy to welcome you in our world, which is made of harmonious vineyards, cultivated respecting the environment for the production of high-quality and typical wines. Here you can taste our wines and discover the commitment, attention and care we devote to this work. Wine is culture and it is the material, tangible and enjoyable expression of technical, historical, agricultural and architectural knowledge. The concept of Good characterizing wine is bound to the idea of Beauty, that is to the beautiful places where grapes are grown (vineyards, landscape) and to those where wine is created (the cellars): they are an important form of communication as well as a prestigious visiting card for a company. 2001 marks an important date: the official opening of the beautiful villa hosting the company headquarters. Built according to the typical rules of Venetian architecture of the first years of 19th century and using the most modern structural and air-conditioning techniques, it is surrounded by bright green vineyards. A visit to the winery is highly recommended for anybody’s eager to relax in this fascinating world: Paladin family welcomes with great pleasure the wine lovers, and take them for a walk through the vineyards and a visit to the barrique cellar, charming premises where the wine matures and refines in precious oak barrels. The meeting ends in the main hall, where the sommelier will let you taste the winery’s crus with a short tasting course, discovering techniques, perfumes and flavours formerly unknown. Only 50 kilometers far from Venice and from the Friulian Prealps, and close to the beaches of Caorle, Jesolo, Lignano and Bibione, the winery is a not-to-be missed destination for tourists and wine lovers. You can buy all our wines in the modern wine-shop, open every day. We can ship our wines worldwide. 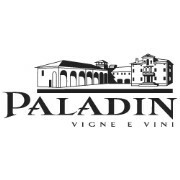 Paladin Wineries are located between Veneto and Friuli. The history of the winery started in 1962 with Valentino Paladin, Carlo, Lucia and Roberto's father. The wines which participate in the most important international enological competitions are every year recognized with awards, and the Paladin and Bosco del Merlo wines add a touch of class and charm to the best restaurants and wine shops.